Cell Phone Radiation! 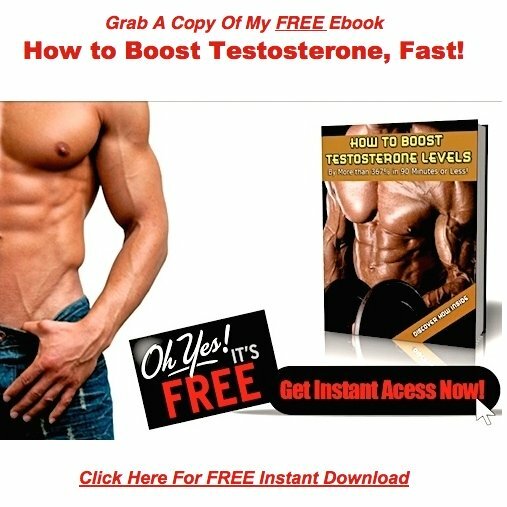 Male Hormones & EMF Exposure! In the spirit of contributing to the increase of knowledge in your excellent website, I have an interesting observation to share with the readers of your blog. After skimming Tim Ferriss' new book "The 4 hour body" I saw his recommendation to stop carrying your cell phone in your front pant pocket. I had to admit that my limp libido and other testosterone problems really went into high gear around the time I started carrying my cell phone in my left front pant pocket. Maybe it's a coincidence, but I stopped this practice and have since noticed a definite (and fast) change for the better in my low-T symptoms. Not as dramatic as from wearing the Blakoe Ring, but definitely noticeable. My experience may not generalize to other men, but it's a very easy thing to try. Charles Graham, a highly respected research physiologist, claims outright that cell phone radiation decreases testosterone levels in men. He also says that electromagnetic radiation in the body acts as a "Disturbance Hormone" more powerful than many chemical pollutants and estrogen mimics in the environment. In his study, he found that men who keep active cell phones in their pants pocket, increase free radical production and oxidative stress in the groin area by 85%. Another study found that men who use their mobile phones several hours a day have 25% lower sperm counts than men without the cell phone habit. Electro-pollution from EMFs, cell phones and wireless technology have also been linked to cancer, miscarriage, birth defects, heart arrhythmia, autism, learning disabilities, and Alzheimer's Disease. I'll admit, these studies do have their critics, but I'm not taking any chances. Here's are some steps I've taken to lessen my exposure to electromagnetic radiation. 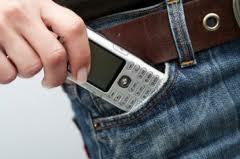 My wireless devices NEVER go anywhere near my groin area. I text instead of talk whenever possible. I always keep my cell phone in airplane mode when not in use. I use my phone with the speaker on and keep it as far away from my head as possible. All electronic devices in my home are shut down cold while I'm sleeping. I keep my wireless router in the house unplugged at all times unless I'm using it. I leave my mobile phone at home regularly, and have avoided the temptation to spend half my life staring at a small, lifeless electronic box. You'll never avoid electromagnetic radiation entirely, but you can reduce your exposure. Remember, no one said it was going to be easy to hang onto your hormones in this modern world of ours. If you want to keep your levels maximized, you ARE going to have to play a little defense along the way. Offense, as in muscle building, edging, and hormone supplements are definitely more exciting. But...the defense you play is every bit as important. Thanks for your feedback Chris, I appreciate it! Comments for Cell Phone Radiation! 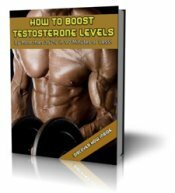 Male Hormones & EMF Exposure! Good common sense advice here. I'm a big fan of airplane mode on the iPhone too. Now I'm glad I didn't get rid those old land lines in my house! Whoa there, I had no idea this could be such a problem. I'm literally on my mobil phone all day long. Anyone have a clue if a WIRED headset reduces exposure? I recently read an article that discussed a European study which found a strong positive correlation between cell phone use and sperm motility. Men who used their cell phones the most had the lowest quality sperm in terms of motility, and the more they used the phones the worse it got. Something for your readers to keep in mind, especially anyone trying to conceive a child.